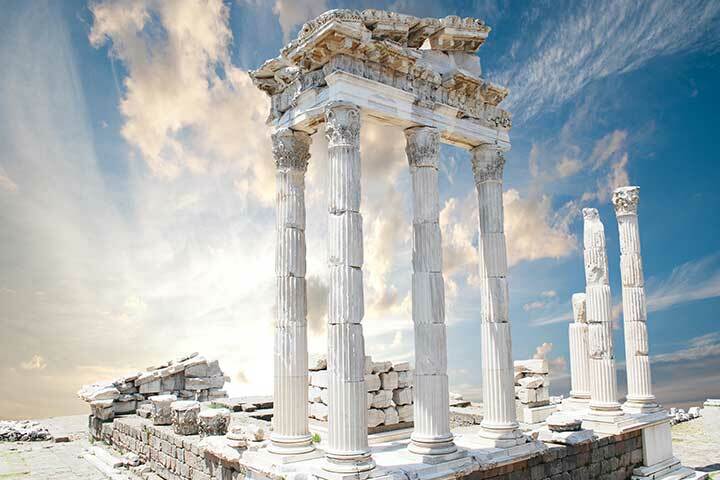 If you were an outsider coming to tour Pergamon in the golden days, the city would look like a shiny diamond crown above the lush green lands surrounding you. And probably you wouldn't be alone on the road as the city was legendary with its library, health center, temples, and the theater. Topography provided an exceptional foundation for the terraced setting of the city which gave it an outstanding beauty. Down in the plain are the remains of the oldest health center, Asclepium with a fantastic view of the Acropolis. Asclepius, god of medicine was so successful that he could stop death and could bring people back from death. You will be curious about the consequences and how he was punished. The world famous monument, Altar of Zeus was built during the reign of King Eumenes II in 2nd century BC and drove immense amounts of visitors for hundreds of years. 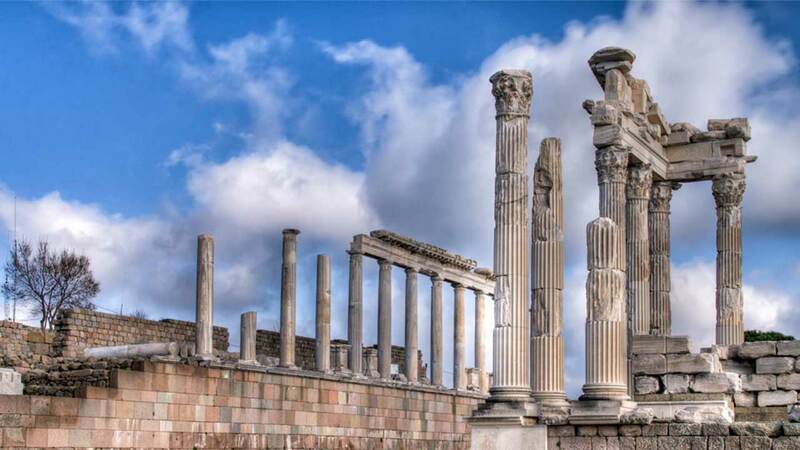 Pergamon was a very important attraction center for the ones who wanted to study, to practice, to heal and present offerings to the gods and goddesses. Today's tour is a trip to the intellectual, social, spiritual and medical life of western Anatolia which influenced the whole ancient world. You will see the site of the reputed library that contained 200,000 volumes, which meant you could get all the knowledge in the world. Nearby is the site of Temple of Athena; goddess of wisdom, war, law, and justice, mathematics, arts and crafts which make this spot next to the library a perfect location for her temple. A little up on the hillside is the Temple of Trajan from 2nd century AD. 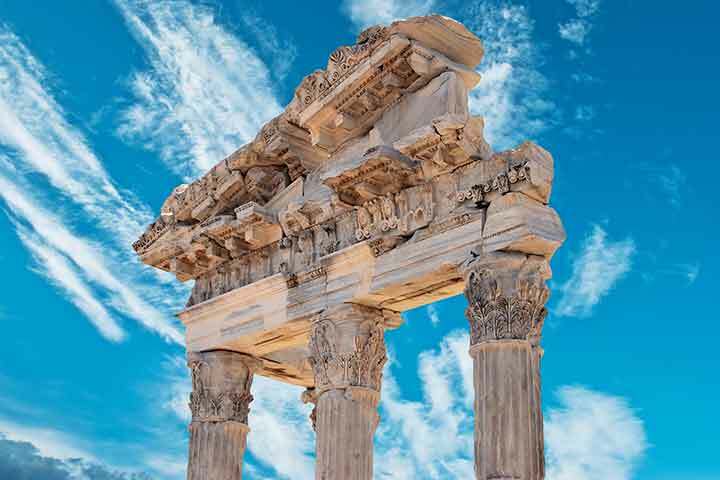 This striking Roman structure adds to the beauty of the city after being renovated by the patient work of archaeologists for several years. Inside the Acropolis, there are the military barracks, arsenals and Royal Palaces. A short walk around the corner will take you to the surprising panoramic view of the fields and the environment. The theater was well-known in the old days too. It is one of the steepest theaters in the world, has a capacity of 10,000 people and dates from the 3rd century BC. You will sit in the almost vertical cavea while your guide speaks about the city and enjoy the unique view before your eyes. 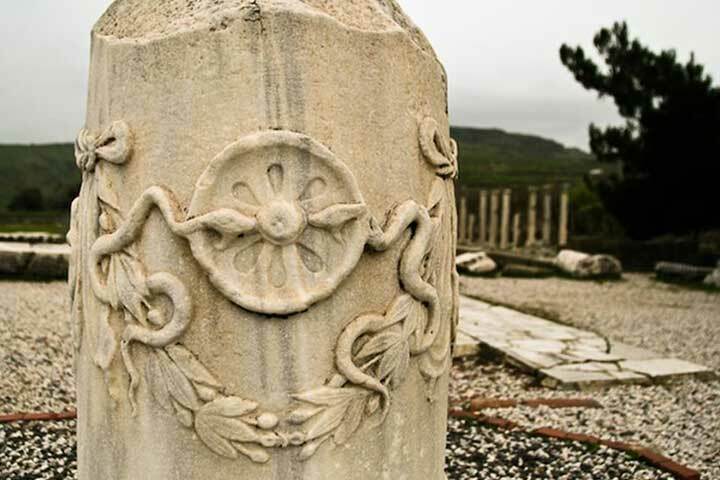 Altar of Zeus is the monument built for commemorating Pergamon victory over the Galatians. It used to depict the war between giants and the gods on high reliefs. Another great spot to take beautiful pictures. 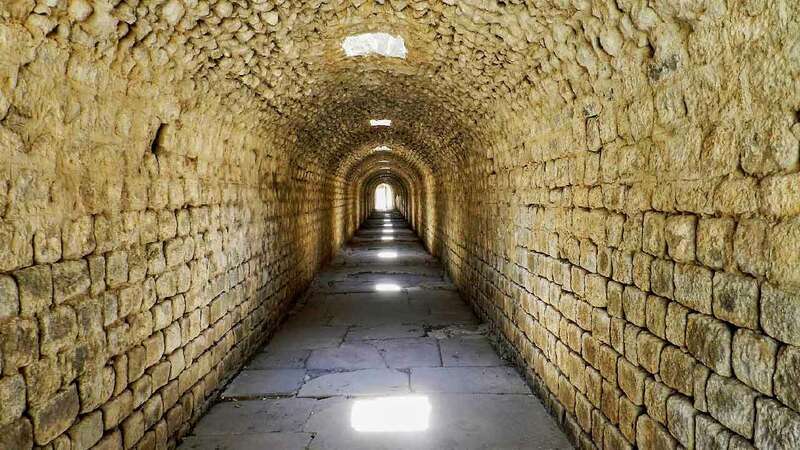 The ancient city also had the Royal Palaces, Temples of Hera, Dionysus, Demeter, Roman baths complex, a number of Gymnasiums and large neighborhoods. The Sanctuary of Asclepius is where modern medicine started. Galen of Pergamon /Aelius Galenus, who lived in the 2nd century AD, is accepted to be the father of modern anatomy and medical sciences who was also a respected philosopher. An anciently sacred water source existed here as early as the 4th century BC on which the Roman health center flourished. Treatments included using the sacred water -it's later understood that it has radioactive properties, massage, mud baths, resting, attending the theater, herbal remedies, music, and interpretation of dreams. You will be amazed to find out how the simplest form of positive stimulation showed miracles in healing. 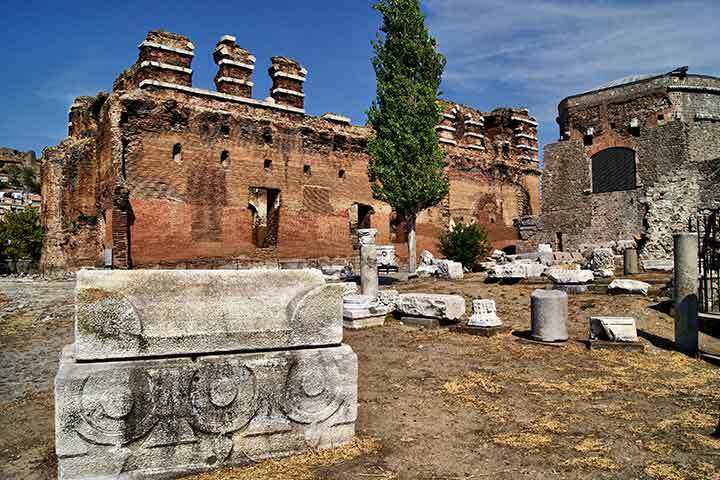 The Asclepion has a theater and sleeping chambers for the patients that will complement the tour of Pergamon. This is the very place that the original of the symbol of medicine with two snakes facing each other over a wheel can be seen.